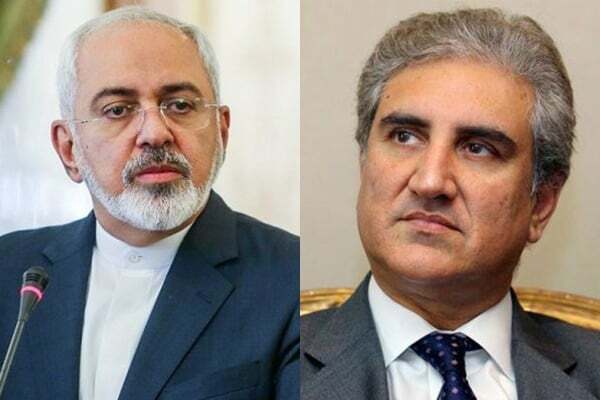 Foreign Minister Mohammad Javad Zarif called his Pakistani counterpart Shah Mehmood Qureshi to follow up on conditions of Iranian border guards who were abducted and transferred to Pakistan by terrorists on Tuesday. During the Wednesday phone conversation, Zarif stressed the need for strengthening the security of Iran-Pakistan borders based on previous agreements. He urged the Pakistani government to take immediate and serious measures to ensure safety and health of the abductees. Zarif also called for measures to identify and arrest those behind the inhumane terrorist attack and secure the release of the Iranian nations and their transfer to Iran. Qureshi, in turn, condemned the inhumane move by the terrorist group and expressed deep regret over the incident. “Pakistan will use all its capacities to take necessary measures to find and arrest the perpetrators and protect and release the Iranian guards,” he said. “These terrorist groups are common enemies of the two governments and nations who seek to disrupt close and friendly relations between the two neighbours,” he said. 11 Iranian border guards were kidnapped by Pakistan-based terrorists in Mirjaveh region in Iran’s southeastern Sistan and Baluchistan province on Tuesday. The Jaish al-Adl terrorist group has claimed responsibility for the kidnapping.